Discovering art and Finnish culture through the Kajaani Art Museum. SINCE OPENING in April 1993, the Kajaani Art Museum has been presenting artworks by both local and international artists to a wide audience. Located in a former police station designed by architect Eino Pitkänen that dates back to the 1930s, it also provides art education to visitors of all ages. The building is connected to the city's oldest building, the old City Hall, it is an example of pure functionalist style. The fact that it is the only art museum in the Kainuu region makes Kajaani Art Museum the hub for all art lovers in the area. "Our aim is to present art and visual culture connected to both this region and the world more in general," says Pirjo Immonen, Curator at the Kajaani Art Museum. "We do so by producing the majority of our exhibitions here, but we co-operate with other art venues and partners as well." The Kajaani Art Museum is currently hosting Fruits of Paradise – Polish Contemporary Folk Art. The exhibition, which is on display until 14 May, presents the works of self-taught Polish artists. "At the moment, the museum is filled with colourful Adams and Eves, bird flocks and fruit trees created by Polish sculptors," explains Immonen. "Fruits of Paradise showcases the whole spectrum of human life through a rich imagination and art creations." The works come from the collections of the Silesian Museum, the Ethnographic Museum in Krakow and from Leszek Macak's private collections. During the summer, the Kajaani Art Museum will host a unique collection of works gathered by Kajaani-born Tuomo Seppo. The temporary exhibition Gardener of Art, on display from 1 June, was named after Seppo, considered a "gardener of art" for the way he has acquired the works on display. "Reino Hietanen, Tapani Raittila and Ellen Thesleff are some of the prominent artists that will be showcased through Gardener of Art," Immonen adds. In addition to the series of temporary exhibitions presented throughout the year, the museum also showcases its own collection. It consists of 760 items, many of which were acquired during the 1980s, by about 100 artists. The collection, which focuses on Finnish art from the 1980s and 1990s, includes artworks by prominent Finnish artists such as Juhana Blomsted, Carolus Enckell and Outi Heiskanen. The Kainuu region is represented too through works of a series of artists, including Helvi Hyvärinen, Matti Koskela and Jaakko Leppänen. "Everybody interested in visual art, regardless of their age, should stop by the Kajaani Art Museum," Immonen says. "Here, you can experience art in an always-changing atmosphere: sometimes with peace and quietness, sometimes with the voices of enthusiastic children." It can even happen that some of the artists showcased by the Kajaani Art Museum decide to use the venue's former prison cell as setting for their installations. Quite a different way to display art works. The Kajaani Art Museum puts a strong emphasis on welcoming everyone, children in particular. "We provide art education: we have school visits, but also several language classes for immigrants that come here," concludes Immonen. 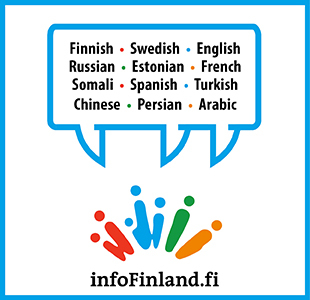 "An exhibition is not only art on display, it can also be a good way to learn more about Finnish language and culture."